I am also the Director of Affiliate Services Group for the NGWA, and one of the benefits of our department is being able to work with state associations to help with things such as committee work, financial services, convention planning or even full management. I have worked in the customer service industry for the last 27 years with companies such as Target, International Dairy Queen, Inc., One Call Concepts (Call before you Dig), and Ewald Consulting (Minnesota’s largest Association Management Company). I grew up in Aberdeen, South Dakota and went to College at St. Olaf College earning a B. A. in History. I currently live in Minnesota, and yes, work for NGWA which is based out of Westerville, OH. I love to hunt upland birds and Whitetail and if you start talking about German Shorthair Pointers, we will talk for hours! You may have noticed that there is not a lot about well drilling in that descriptive paragraph. You’re right. I have never worked on a crew, nor been employed by a well drilling company. However, I have been the Executive Director for the Michigan Ground Water Association for the last 5 years and the Executive Director of the Minnesota Water Well Association for the last 17 years. I attended 10 consecutive NGWA Legislative Fly-In’s that were held in Washington D.C. and have presented at Ground Water Week in Las Vegas for the NGWA. I have become involved with the PFAS situation that has emerged not only in the region, but on a national basis, and am working on how we, as an industry, can continue to move forward TOGETHER, and make us better! I am a firm believer in working together with the members of the Board and with the members of the State Association as well as individuals from the local communities to further advance the Groundwater Industry within the State! I hope that this first look at individuals from the MWWDA Board of Directors gives you some insight as to the experience of the leadership guiding the industry. 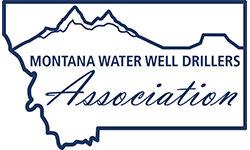 Please feel free to contact me at anytime if you have questions about the MWWDA, groundwater in Montana or in general.